August 2, 2012  Remarkable video footage of a killer whale nearly drowning her trainer underscores ongoing questions about SeaWorld's interspecies-encounter policies. Commentator Barbara J. King discusses the video in light of David Kirby's new book Death at SeaWorld. 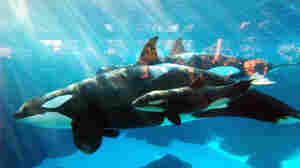 August 23, 2010  OSHA fined SeaWorld for an avoidable deadly orca attack that left a theme-park worker dead.